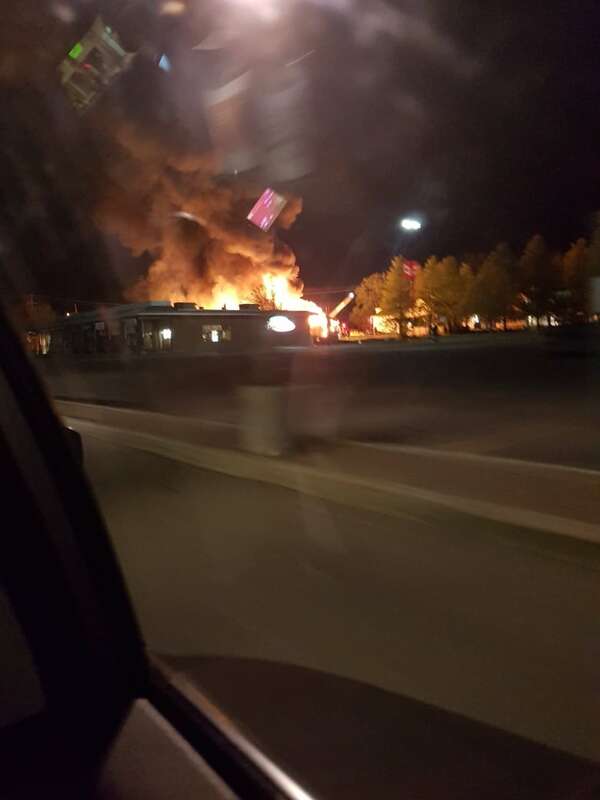 Business owners in Manotick are reeling from a commercial fire that destroyed their shops overnight and caused approximately $1 million in damages. Fire ripped through four businesses along Manotick Main Street in the heart of the village in rural south Ottawa, leaving nothing but charred remains and devastation for longtime store owners. V's Cupcakes, the Manotick Butcher, Tops Pizza, and engineering consulting firm EBA were destroyed. "We've been open for seven years and everything we worked towards is gone overnight, in a span of about four hours," said Manotick Butcher co-owner James Watt on the phone Sunday afternoon. "So now we've got to figure out what we're going to do." He said he got a text message from his landlord in the middle of the night with just four words: "The building's on fire." As soon as Watt arrived on scene, he could see the roof was missing from his shop and several windows were smashed. "V's Cupcakes was gutted. There wasn't anything recognizable ... in their store," he said. "[Tops Pizza] was charred." Ottawa firefighters were called to 5556 Manotick Main St. around 3:45 a.m. Sunday after getting calls reporting flames coming from the building. Heavy black smoke could also be seen billowing out of the buildings as fire crews were on scene trying to contain the fire. The cause of the fire is still a mystery to store owners. The destruction is leaving Watt, who owns the butcher shop with his wife Elizabeth, wondering what his next steps are. "The store can be rebuilt, but people have lives. We've got to figure out what we can do for them, too," he said. Others are wondering the same. "I just lost everything," the owner of V's Cupcakes shop told CBC News Sunday morning in a phone call. "I don't know what's going to happen." She took to social media to let customers know that a Lyme disease fundraiser she had been organizing will also be cancelled. Ottawa police closed Manotick Main Street between Beaverwood Road and Currier Street so firefighters could put out the fire. No one was injured and firefighters said the fire was under control by about 4:30 a.m. The province's fire marshal has been notified and the cause is still under investigation.